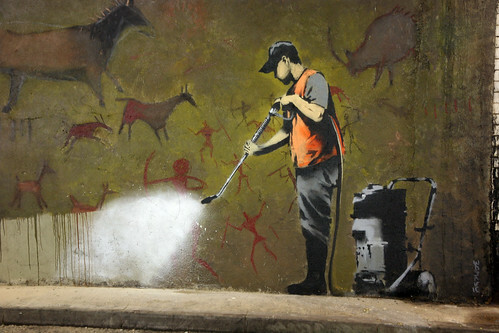 The latest work by mysterious street artist Banksy revealed at Leake Street, London this weekend. See the Banksy tag bottom right of the cave. The CCTV cameras above this were wrapped in grey poly bags to protect them from overspray! Created May 2008 but painted over by August 2008.